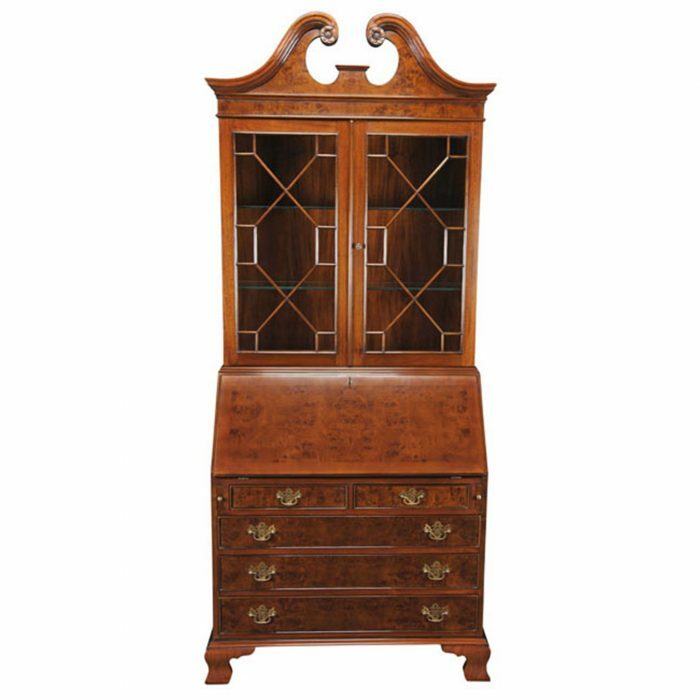 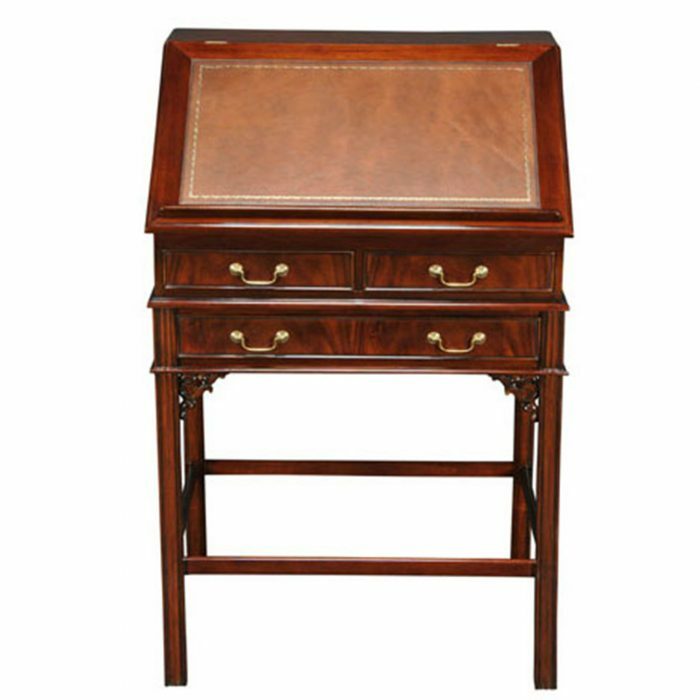 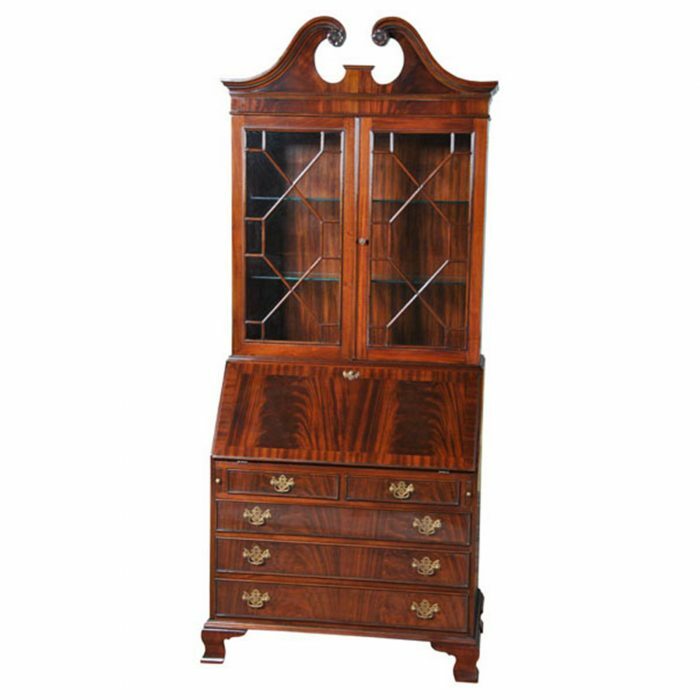 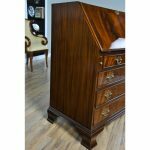 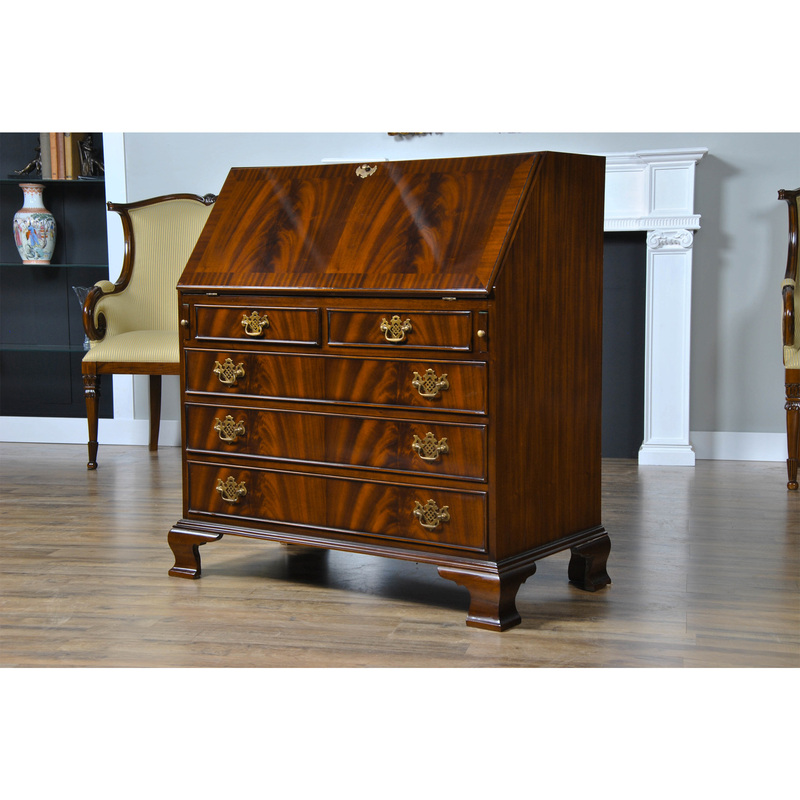 This Mahogany Secretary Desk from Niagara Furniture has all the outstanding qualities of an antique original. 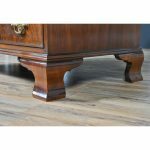 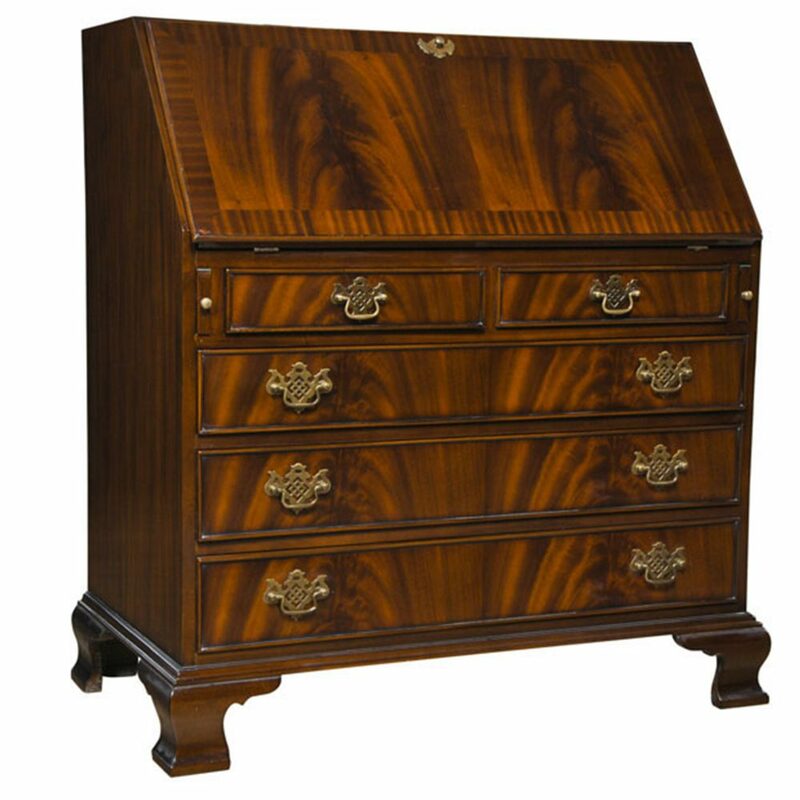 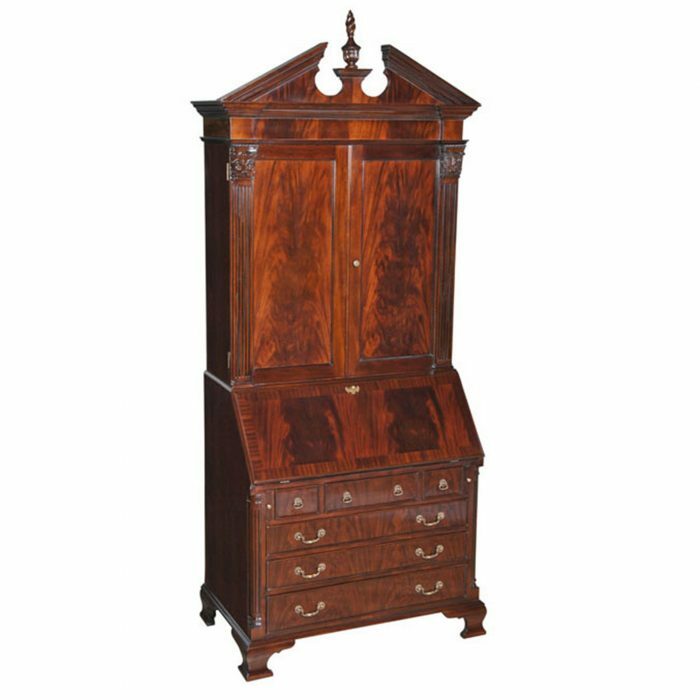 Made of select mahogany solids and mahogany veneers, the desk has four graduated drawers resting over top of shaped, ogee bracket feet. 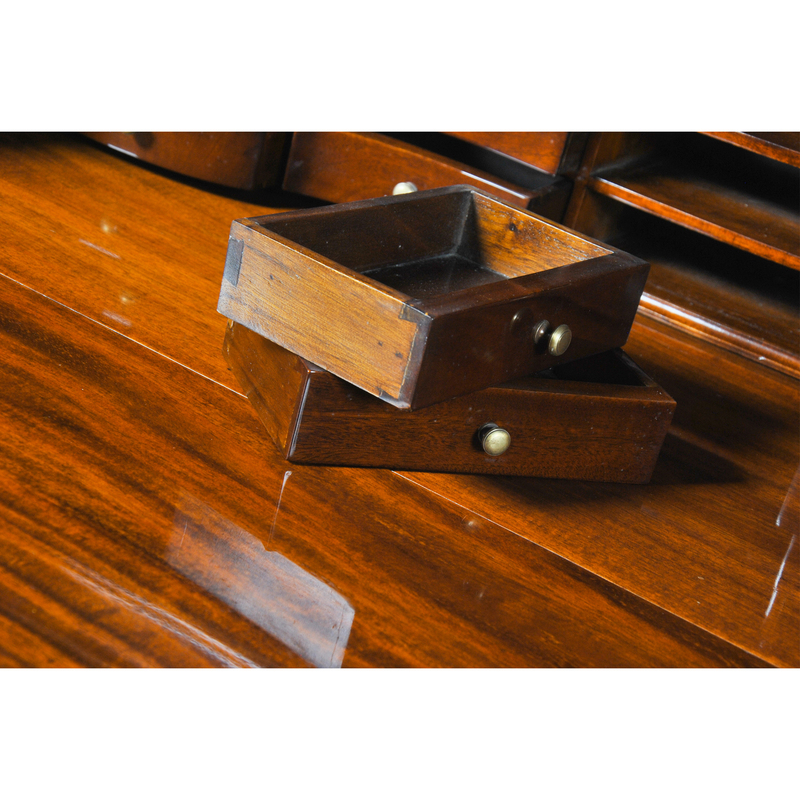 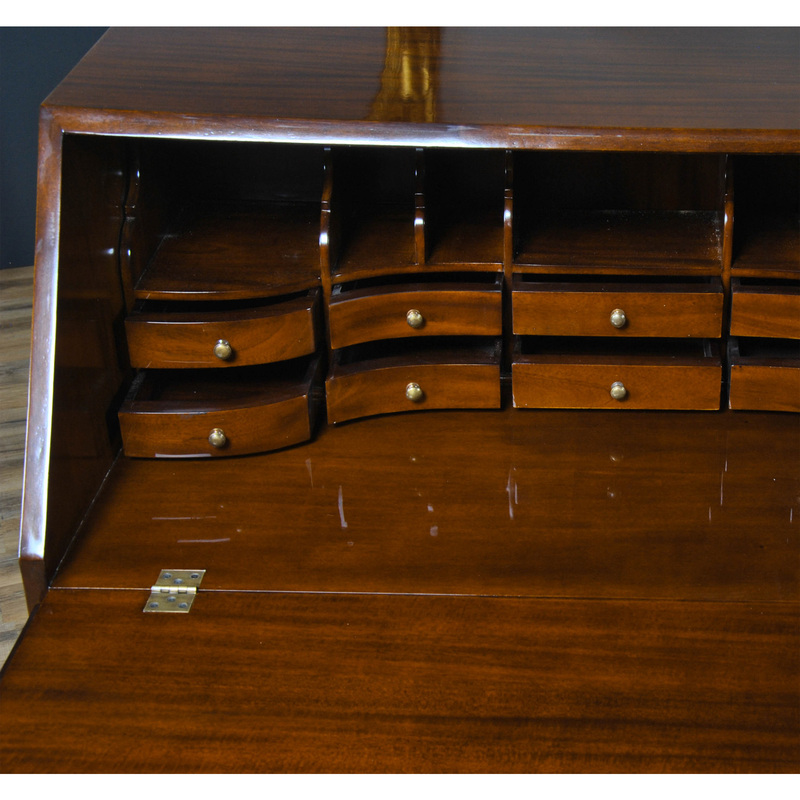 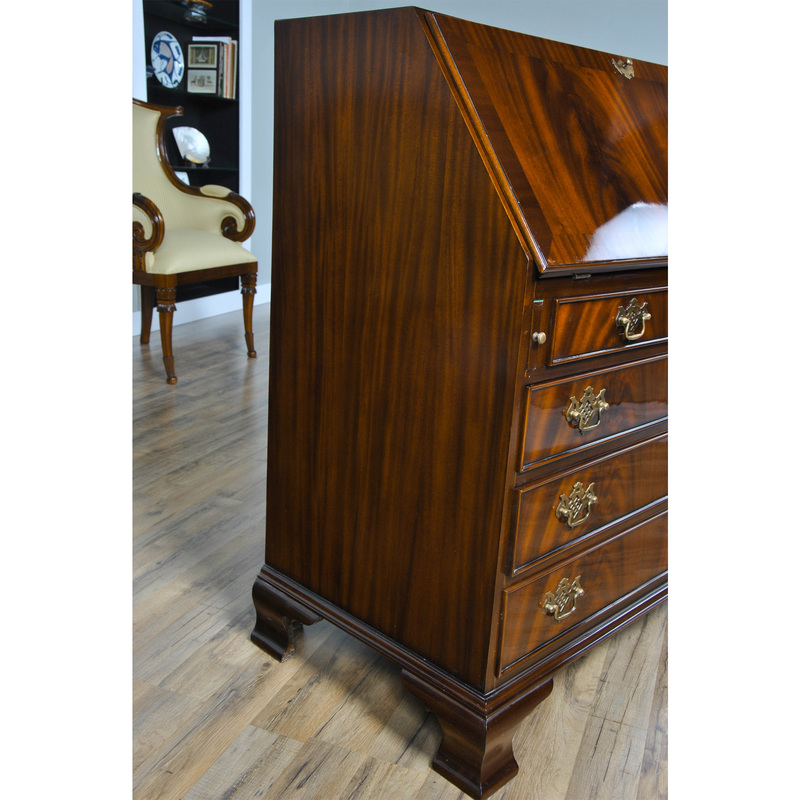 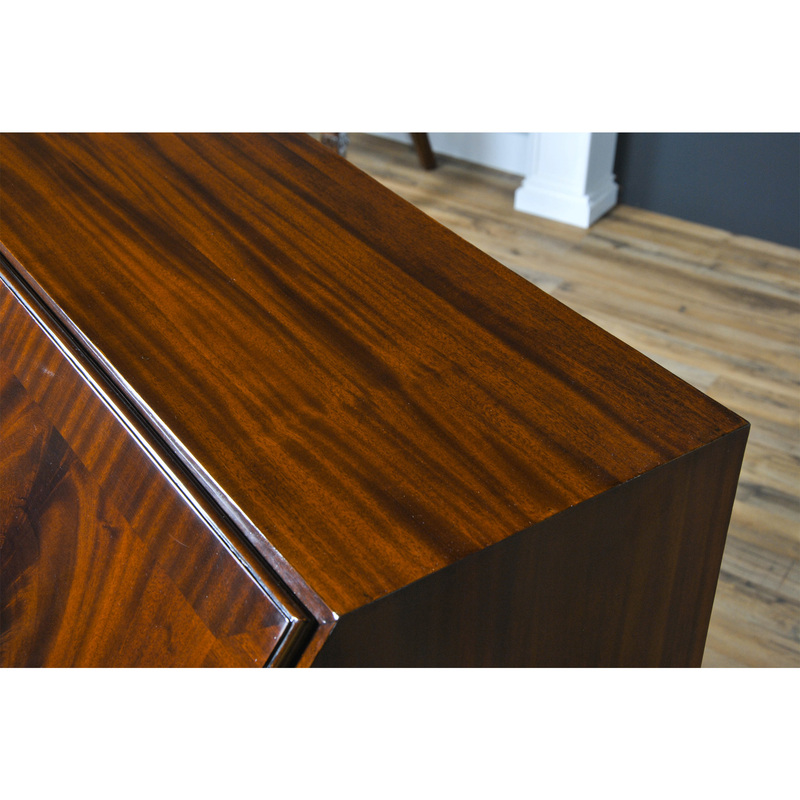 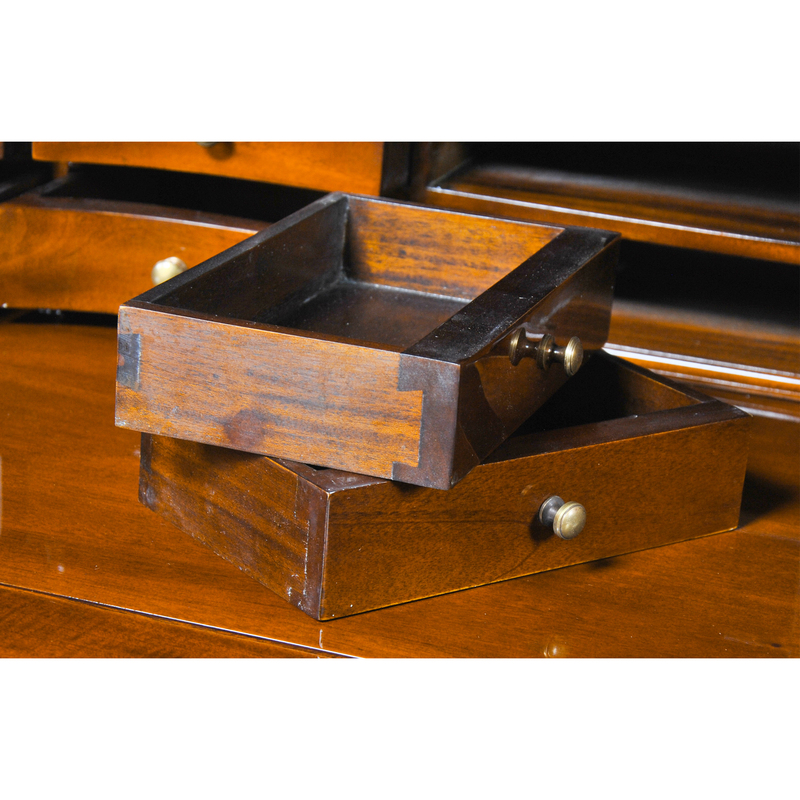 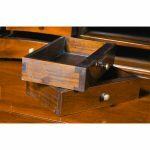 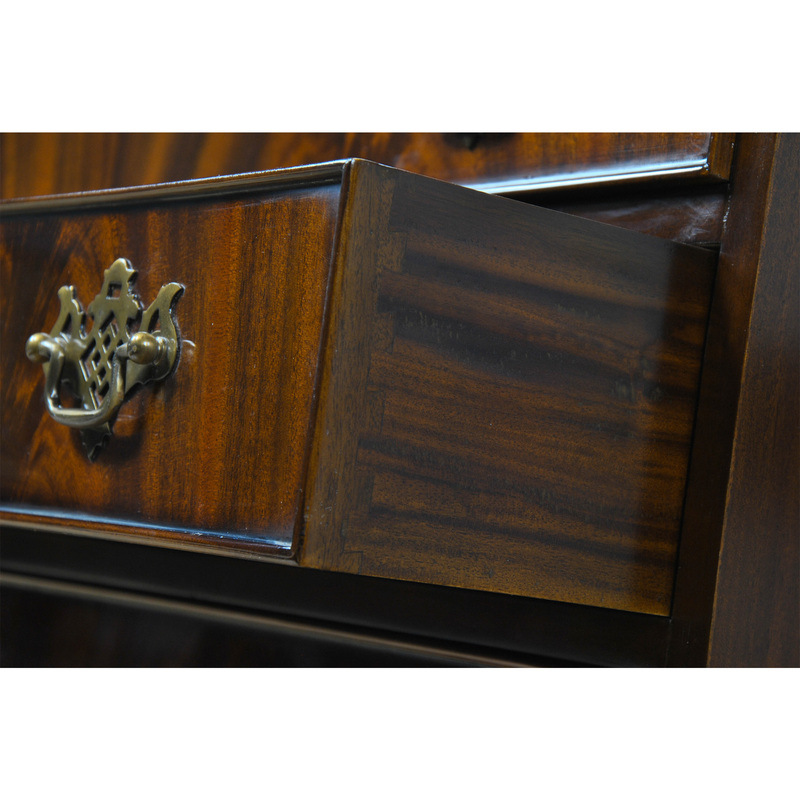 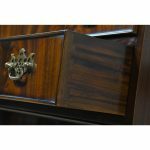 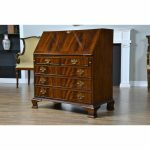 The interior of the Mahogany Secretary Desk is fitted with a bank of serpentine shaped drawers underneath pigeon holes. 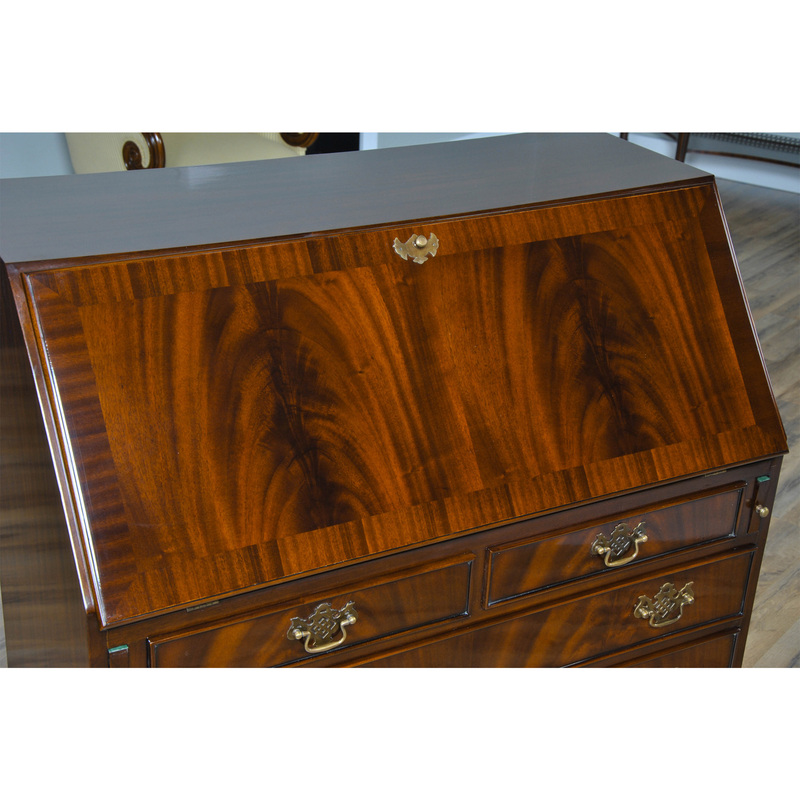 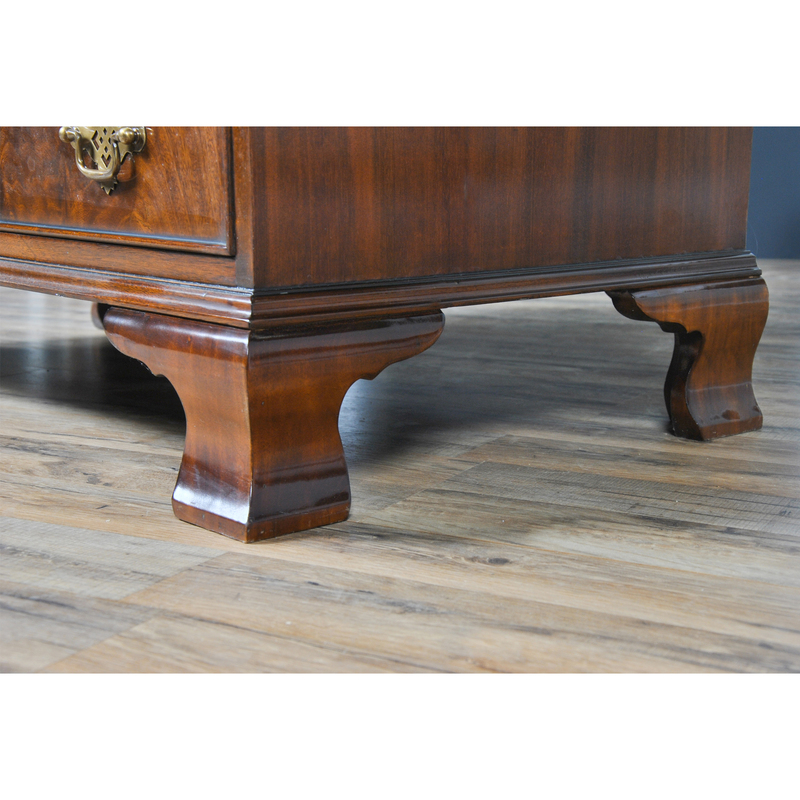 Finished in a warm brown tone the desk will bend in with most decors and provide years of service. 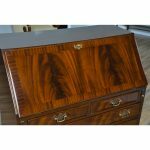 An extremely functional piece of furniture with useful storage space, this high quality secretary desk is a work of art in itself. 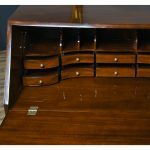 It will grace any room setting.